1.) Intoxikate: Living Deliciously, Heineken and Pernod Ricard are teaming up for Lilly’s Night of Laughs featuring some of New York City’s funniest comics. 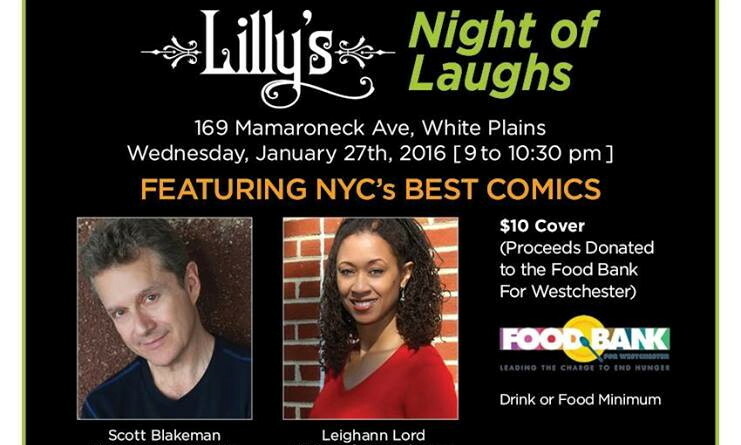 On Jan. 27 you can see five comics for just $10 at Lilly’s, 169 Mamaroneck Ave. in White Plains, from 9 p.m. to 10:30 p.m.
All proceeds will benefit the Food Bank For Westchester. Click here for tickets. 2.) The days where little girls only wanted to grow up to be princesses are fading away. Fatherly’s recent Imagination Report show that girls want to pursue careers in science, technology, engineering and math (STEM) even more than boys do. Poll: What Was Westchester’s Top Story In 2015, Westchester?